Dudley Dursley | Expecto Patronum! What Do You Find Funniest in CoS Chapter 1? Chapter 1 of CoS is full of slapstick (“the magic word”), farcicle similes (“like a winded rhinoceros”), a parody of business-meeting itineraries (“We should all be in position at eight o’clock”), and even multiple “magic” attacks on poor Dudley Dursley (“Jiggery pokery!”, “Hocus pocus”, “squiggly wiggly”). This, I think, is one of the funniest opening chapters in the HP series. So I’m wondering what you think are some of its funniest moments. Please let us know in the Comments thread. Dursley-centric chapters are often great fun, and the first chapter of CoS (filled as it is with absurdity and slapstic) is no exception. Dudley gasped and fell off his chair with a crash that shook the whole kitchen; Mrs. Dursley gave a small scream and clapped her hands to her mouth; Mr. Dursley jumped to his feet, veins throbbing in his temples. For all this reaction, Harry may as well have arrived in black gloves wearing a mask and wielding a butcher’s knife! But the absurdity doesn’t stop there! Do the Dursleys have no sense of proportion? (well, the answer to that question should be obvious, shouldn’t it?). OUCH! In the HP world, magic is not inherently threatening, but after the “pig’s tail” incident from Harry’s last birthday, any suggestion of magic may certainly seem like a threat. She confessed the truth during a tear-stained date, in Vernon’s dark car as they sat overlooking the chip shop where Vernon had just bought them a post-cinema snack. Vernon, as Petunia had expected, was deeply shocked; however, he told Petunia solemnly that he would never hold it against her that she had a freak for a sister, and Petunia threw herself upon him in such violent gratitude that he dropped his battered sausage. Absurd as the Dursley reaction to the “M” word is, it is quintessentially Dursley-esque! And it’s all because, for Harry, “magic” is more than just a word. It is part of who he is. In the first chapter of CoS, JKR repeats for the audience the requisite background information – reminding us of Harry’s experience during the previous year at Hogwarts and the fact that Uncle Vernon has padlocked his school books and supplies in the cupboard under the stairs. In fact, Vernon has even padlocked Hedwig’s cage – leading to the chapter’s initial confrontation (in which Uncle Vernon asks if he looks stupid – all while “a bit of fried egg dangl[es] from his bushy mustache!). …wore rounded glasses, and on his forehead was a thin, lightning-shaped scar. It was this scar that made Harry so particularly unusual, even for a wizard. …escaped with his lightning scar, and somehow – nobody understood why – Voldemort’s powers had been destroyed the instant he had failed to kill Harry. … because he is the only person who ever survived a killing curse – and he survived the Avada Kedavra from its most proficient practitioner. When I first read the the early chapters of PS/SS, Harry’s scar seemed somewhat cosmetic – a distinguishing mark that really looked cool – though it was clearly foreshadowing something of significance. What I like here in the first chapter of CoS is that JKR reminds us of Harry’s scar several times, just to remind us that it distinguishes him from other Wizards. And later – as the books continue – she builds on what Harry experiences via the scar (first, pain in proximity to Voldermort, then later an ability to see into Voldemort’s mind). She puts all the clues she needs in even these early books so that when the big reveal about the scar comes in “The Prince’s Tale,” we should not be surprised. But of course, I was – given that (unlike the pre-DH fandom), I had only about three days between discovering in HBP that Voldemort sought to split his soul and reading the endgame in Deathly Hallows. I had to do a double-take, a triple-take, a quadruple-take when I came across that passage in TPT. No matter what I experienced though. Nobody can say that JKR did not give the reader fair warning! She told us – again and again and again – the significance of the scar, just as she does here. So… what are some things that have jumped out at you in reading through the first part of the first chapter of CoS? Privets and Whingings and Dursleys… oh my! Like the first CoS scene on Pottermore, my old post on chapter 1 put some emphasis on “the magic word.” So let’s take a look at Pottermore’s view of that scene. that most suburban plant, the privet bush, which makes neat hedges around many English gardens. sounds appropriately parochial and sniffy, ‘whinging’ being a colloquial term for ‘complaining or whining’ in British English. never been fond of the number four, which has always struck [her] as a rather hard and unforgiving number. These little bits of information show the degree to which JKR thought about what she was doing. I may not share her take on the number 4 (I rather like the number myself) – and I’m not quite clear on why she created 4 Houses if she has such a dislike of the number – but I do think it’s obvious that even in the details of the Dursley address, JKR was attempting to create a composite of the Dursley family. And that’s just a little bit of wonderful! When we look at the scene on Pottermore (Zoom 1), we see the pastel hues of the Dursley home, hints of the flowery wallpaper on the home’s interior, and the trim surburban plants set against the house. And through the window, there’s a picture on the wall that appears to portray somebody in a Smelting’s uniform. Young Vernon? Dudley? It’s certainly not Harry! Oddly, though, on the Dursley’s front porch, there appear to be some wear-and-tear flaws in the plaster near the lamp. Is that nothing more than an artist’s rendering? Or is it part of JKR’s own conception? Is the exterior of their house not quite the exemplar of suburban perfection that Petunia would have it be? At Zoom 2, we go through the door… to find a Smelting’s straw hat on the staircase (this must be Dudley’s!) and the door to the cupboard under the stairs padlocked. The padlock will be explained when we get to the argument in the kitchen. We’ll take a look at these in the next re-read post. 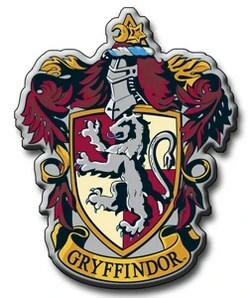 But for now, I’d like to go back to some Pottermore material that sets the stage. I’m speaking, of course, of that lovely exclusive JKR content on the Dursleys. We know from the first chapter of PS/SS that Vernon values normalcy and that Petunia thinks her sister is a freak. The Pottermore info fills in the gaps. 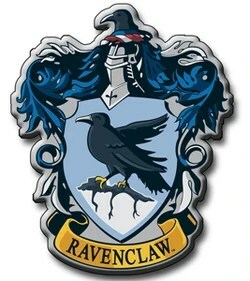 One of the most sought-after pieces of information, actually, is the name of the town that the Evans girls – and, by extension, Severus Snape – grew up in. 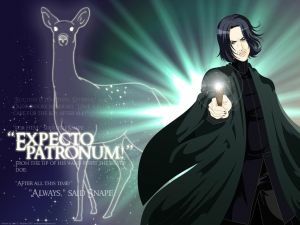 Based on Snape’s speech patterns, fans have speculated that he grew up in the north of England, perhaps even in a large industrial city like Birmingham. Actually, though, he and Lily and Petunia grew up in the fictional town of Cokeworth. This is the town that Petunia left in order to make her way in London. On this 7th day of letters from no one, the Dursleys find that none of their previous attempts to outrun the letters have succeeded. 100 or so letters await Harry at the hotel desk. The text tells us that Cokeworth is a big city, and we know that it’s within a day’s drive of Little Whinging, Surrey – even if the driver is continuously changing course. I don’t know enough about driving in the UK to know how far a driver can get under these conditions. I’ll leave it to my UK friends to tell me whether or not it is plausible that Cokeworth is in the north. But whatever the case, the “gloomy-looking hotel” where the Hogwarts letters hunt them down is on the outskirts of the same town in which Petunia, Lily, and Severus all grew up. Curiously, Petunia says nothing. The truly new information focuses on Vernon and Petunia’s courtship and interactions with James and Lily. And this courtship info is often written in the same mocking tone that we find in the Dursley passages in the books. (Remember that wonderful Dursley intro in PS/SS: “Mr. and Mrs. Dursley, of number four, Privet Drive, were proud to say that they were perfectly normal, thank you very much”?). He had a perfectly correct car, and wanted to do completely ordinary things, and by the time he had taken her on a series of dull dates, during which he talked mainly about himself and his predictable ideas on the world, Petunia was dreaming of the moment when he would place a ring on her finger. When, in due course, Vernon Dursley proposed marriage, very correctly, on one knee in his mother’s sitting room, Petunia accepted at once. It’s almost like something out of a romance made in hell! For those of you who have read A Game of Thrones, here’s an analogy: Rather than dream of true knights to rescue her from her peril, Sansa Stark instead dreams of a big beefy dullard to give her a “completely ordinary” and utterly predictable life. Petunia’s “true knight,” in other words, rescues her from anything faintly resembling romance. It’s hardly a secret that Deathly Hallows is my favorite Harry Potter book. It’s also not a secret that I found the Half-Blood Prince movie… disappointing. In HPB, the filmmakers wasted precious time burning the Burrow, when they could have been giving us another Pensieve memory of Tom Riddle’s family background or some additional face time with the Half-Blood Prince’s Potions book. I feared that, given the complexity of the DH narrative, director David Yates and screenwriter Steve Kloves would trash the story, chop it up, render it incomprehensible in an attempt to simplify it for movie-only viewers. I wondered if, in the end, moviegoers would understand who Dumbledore was, who Snape was, and how the twin themes of redemption and remorse that play out in these men’s lives ultimately help Harry confront Voldemort with the things the Dark Lord doesn’t understand. Well, we won’t know the answer to that question until we reach the end of DH2. But DH1 gives me good reason to hope that the filmmakers will capture much of the richness of this narrative… and offer up a successful resolution to the Harry Potter saga. For me, the DH movies carry the biggest stakes because they also carry the most profound part of Harry Potter’s story. I already knew going in to DH1 that the split would occur at Dumbledore’s tomb. And I knew just from watching the trailers that DH1 would include both Malfoy Manor sequences, the 7 Potters, Bill and Fleur’s wedding, the infiltration of the Ministry of Magic, the splinching scene, Ron’s confrontation with Harry, at least some of the visit to Godric’s Hollow, the destruction of the locket horcrux, the visit to Xenophilius Lovegood, and Voldemort’s retrieval of the wand. I understand some of those decisions. Really, I do. Flashbacks would have dragged out the film (no matter how gratifying I find those strands of plot to be). And Dumbledore’s backstory can be covered more fully in DH2 at the Hogs Head and in King’s Cross. But why not include the Dudley scene or Phineas’ portrait or Harry’s dialogue with Ron? And why, WHY, WHY violate the character of Gellert Grindelwald? (more on that in another post). And of course, it sure didn’t hurt to be viewing all of this on an IMAX screen. I’ll be back later with a bit more analysis. But for now, I’ll just say that, overall, this film is TEH AWESOME!!! (And I wasn’t saying that after the last one). Back in the 1960s, Irish novelist Brian Moore published a Cold War thriller called Torn Curtain – later turned into a Major Motion Picture by Alfred Hitchcock. I don’t know what that really has to do with Dobby’s torn pillowcase except to say that both refer to torn fabrics, and both deal with undercover spy work. Yes, little Dobby the House Elf is something of an undercover spy. Nobody asked him to go undercover (and he’s going to have to punish himself something fierce for it), but he has spied on his own master and is working at cross-purposes to his master’s will. To use Cold War lingo, Dobby has defected to Harry – at least in his affections. And his unsought (and unappreciated) efforts come at great danger to himself. After Dobby learns of the threat to Harry Potter (the hope, apparently, not only of the Wizarding World but even of the House Elves) he cannot keep silent. He must warn the Boy Who Lived. His warning, though, is unwelcome. After all, he’s telling Harry that he must not return to Hogwarts… and Dobby resorts to extreme measures to prevent Harry’s return – even to the point of stealing letters from Ron and Hermione and wrecking the Dursleys’ dinner party by splatting the pudding on the floor. I don’t know how anybody else reacted, but my first encounter with Dobby came in the CoS movie… and I found him really annoying. It was shocking and uncomfortable to watch him punish himself – and make so much racket that Harry was bound to get into trouble. And then, of course, there were the really unscrupulous matters of the letters and the pudding. But Dobby’s punishments and his tears on being treated as an equal also gave me some measure of sympathy for him. And in the end, when we find out who Dobby’s master is and the dimensions of the plot endangering Hogwarts, Harry’s final act of compassion towards Dobby becomes quite gratifying. So… what do we learn from Dobby’s warning? Dobby speaks of “powers Dumbledore doesn’t… powers no decent wizard….” Horcruxes!!! Yes, the first unnamed reference to Horcruxes comes from Dobby. The end result is that Harry is imprisoned in his room as Hedwig has been imprisoned in her cage! He’s being starved, and things are looking pretty bleak, when the Weasleys arrive with a deus ex machina. And yes, it literally is a machine! Here’s how the kitteh’s LiveTweeted Cos, Chapter 2. Rather than deal with Draco Malfoy in short spurts, I’ve carved out a little bit of space where we can talk a bit more expansively about our snaky Slytherin’s pre-Hogwarts encounters with Harry Potter. I had some sympathy for Draco from the start. To me it seemed clear his approach to Harry in the robe shop was friendly. Since he did not know Harry’s mother was Muggleborn, or Hagrid was his first wizard friend, the things he said were, while revealing of the prejudices he had obviously already acquired, not intended to put off Harry in any way. He was just trying to start up a conversation with another boy who would be going to Hogwarts. Okay. She’s got a point. The conversation in Madam Malkin’s opens with the pale, pointy-faced boy’s “Hello. Hogwarts too?” and continues with the boy rattling on about racing brooms, Quidditch, school Houses, Hagrid, and Wizarding blood. Draco (the boy) is not, at any point, intending to put Harry off. He’s just carrying on what he considers to be light conversation. The problem lies in what Draco considers to be light conversation. As arithmancer mentions, Draco’s conversation shows the “prejudices he had obviously already acquired.” We don’t know it yet, but the parents Draco mentions (the father who is buying his books and the mother who is looking at wands) both come from wealthy pureblood families – the Malfoys and the Blacks. This we may state with certainty: Any wizard who shows fondness for the society of Muggles is of low intelligence, with magic so feeble and pitiful that he can only feel himself superior if surrounded by Muggle pig-men. Nothing is a surer sign of weak magic than a weakness for non-magical company. In addition to inheriting a most virulent strain of blood prejudice from his ancestors, Draco’s father is an impenitent Death Eater who continues to practice Dark Magic in secret. Draco, in other words, starts from a deficit of character and empathy – despite his family wealth. Does Draco have any clue at all on how to make friends with strangers? As arithmancer pointed out, none of this is intended to be rude. But much of it is rude. And what’s not rude is often disturbing. From the moment Draco brags about bullying his father and smuggling in a broom, Harry is reminded of Dudley, and that is emphatically not a good thing. Draco is full of himself, bragging about his Quidditch-playing ability, emphasizing his social superiority over those he deems servants, expressly showing a lack of empathy over the fact the boy he’s speaking with is orphaned, and (of course) demonstrating the blood prejudice that he has absorbed from his parents – all without bothering once to find out the actual views of the boy he’s talking with, or anything else about the boy. Had he bothered, he might have had a better idea about how to proceed, but Draco just starts talking. Only when he realizes that he needs to find out whether or not this boy is from one of the old Wizarding families does he bother to ask Harry for any relevant information about himself. Now, it’s not really possible to determine whether his narcissistic behavior is an innate character flaw or a sort of self-absorption that he has had ingrained in him as a result of his upbringing. But regardless, Harry is hardly impressed. Things get worse, though, on the Hogwarts Express – so bad, in fact, that by the time Harry puts the Sorting Hat on his head, he is begging to be put into any House besides Draco’s. Oh, the arrogance! The unutterable arrogance! Harry has spent the last several hours forming a bond with Ron Weasly. What could possess young Malfoy to think that Harry would favor Draco over this new friend? You have just been introduced to a Death Eater perspective of James’ and Lily’s deaths. 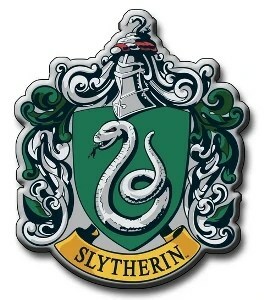 Significantly, Draco is accompanied by foils Crabbe and Goyle (both sons of Death Eaters), who will go with him into Slytherin – the House that has had a blood prejudice bent since Salazar Slytherin left a Basilisk in the Chamber of Secrets, the House that has become Death Eater Central since Voldemort began to raise an army. By filling their son with such venom, Lucius and Narcissa Malfoy have inflicted damage on this “unfortunate boy” as appalling as any of the damage Dumbledore later sees in Dudley. Yet just as there is hope for Dudley, there is hope for Draco. The wand that chose “the poor Malfoy boy” has a unicorn hair core. Somewhere deep down, there is still a core of innocence and purity in Draco, despite external appearances. We shall see if he fulfills that promise. Dudley was sniffling in the back seat; his father had hit him round the head for holding them up while he tried to pack his television, VCR, and computer in his sports bag. They drove. And they drove. Even Petunia didn’t dare ask where they were going. Every now and then Uncle Vernon would take a sharp turn and drive in the opposite direction for a while. “Shake ’em off… shake ’em off,” he would mutter whenever he did this. Best moments: Dudley’s packing sense, Uncle Vernon’s muttering. And it just keeps getting better! Monday, Day 7: Harry is a bit disoriented by the week’s events, so he doesn’t really realize it yet, but this 7th day of letters is also the day before the last day of the 7th month – the day of his 11th birthday. Keep in mind the dying days of the 7th month. It will become important later in the series. And there are many other 7s in this series: 7 years, 7 Weasley children, 7 players in Quidditch, 7 Potters, 7 intended parts to Voldemort’s soul. And of course, 7 is said to be the most magically powerful number. But of course, all of that is yet to come. Right now, Harry has not even been introduced to the Wizarding World… though the Wizarding World is doing its best to introduce itself to him! … drove them into the middle of a forest, got out, looked around, shook his head, got back in his car, and off they went again. The same thing happened in the middle of a plowed field, halfway across a suspension bridge, and at the top of a multilevel parking garage. “Daddy’s gone mad, hasn’t he?” Dudley asked Aunt Petunia dully late that afternoon. The whole shack shivered and Harry sat bolt upright, staring at the door. Someone was outside, knocking to come in. The Wizarding World will not be dissuaded. Best moment: Dudley inquiring after his father’s sanity.